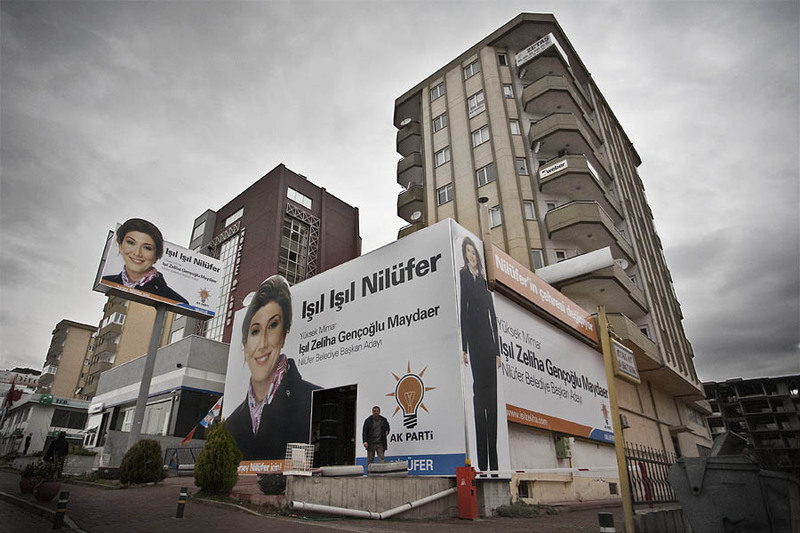 The Headquarter of AK Party for the city election of Nilufer, a district of Bursa, Turkey. Ballot for city mayor will stand on mid March. I am not so much in politic. Not so much in France and not at all in foreign countries such as Turkey. So the point is not give any personal thoughts through this pic. No my point is more from a photo standpoint. I think this HQ is really much nicier than surrounding HQs from other candidates. Not the least, the huge pics are of pretty decent quality with good studio lighting and some good postprocess. And this is unfortunately not always common in Turkey with sometimes crappy pictures on advertisement boards in the street or even in glossy magazines.